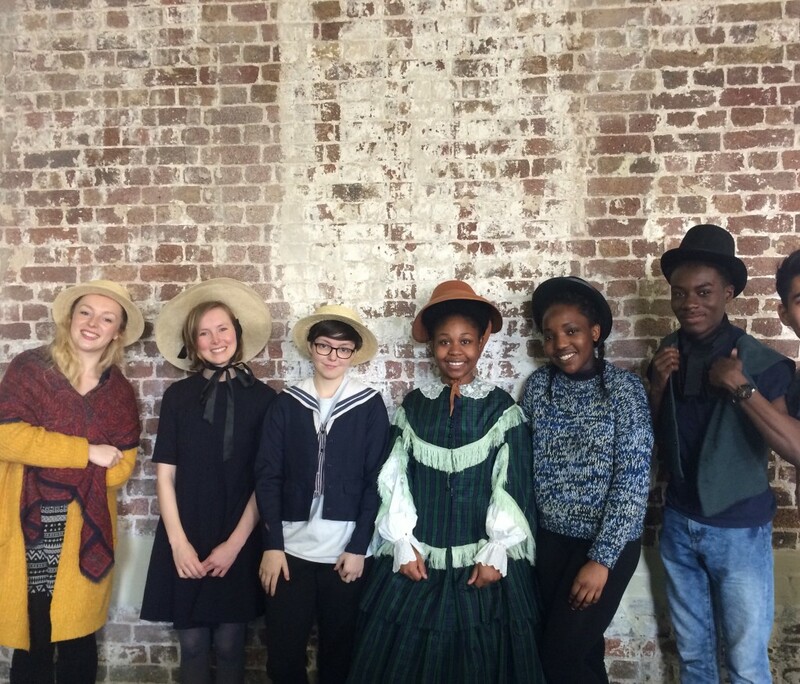 On Monday 3rd April, we began our two week intensive with young people in partnership with the National Maritime Museum. The intensive is the final stage in The Princess Alice research and development project. 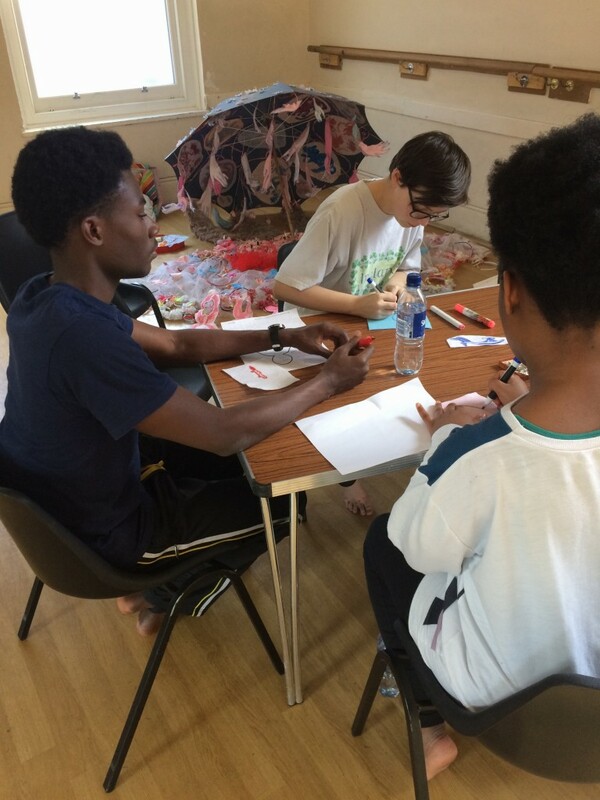 On Monday we welcomed a group of young people into the studio. None of them knew each other, some had previous dance experience whereas others were taking part to try something completely new. They are from a range of different backgrounds, bringing different knowledge and experiences into the studio. 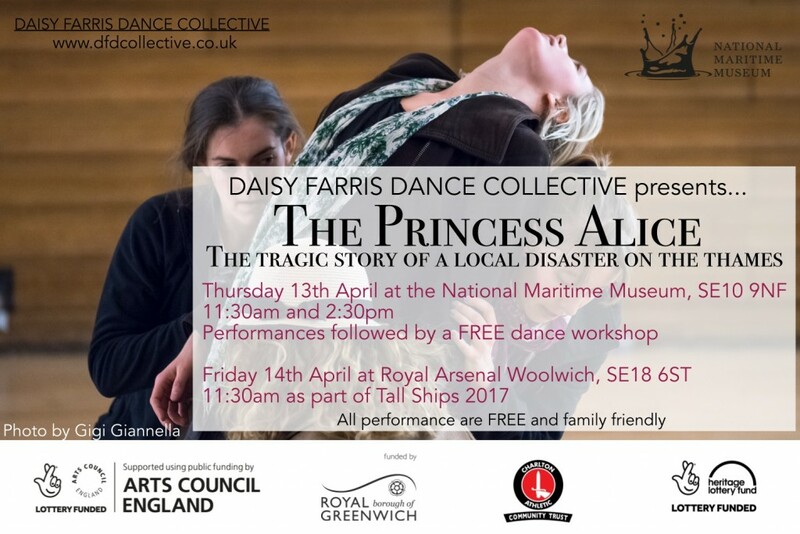 The aim over these two weeks is to work with the young people to develop their own responses to The Princess Alice disaster and integrate these into the choreography to be performed alongside the dancers. The performances will take place at the National Maritime Museum on Thursday 13th April and Tall Ships Festival in Woolwich on Friday 14th. Having never worked together before, on Monday I decided to throw lots of tasks and ideas at them to give them an overall impression of the piece and get an idea of their ability. I was extremely impressed! The group responded amazingly to each and every task I gave them. They worked brilliantly together and developed some really creative work. Throughout the two weeks, the group are also working towards a Bronze Arts Award certificate. On Tuesday morning, I gave a short presentation to the group about my inspirations, including choreographers, visual artists and collaborators. They then had time to research someone who inspires them and begin planning a mini workshop using their inspiration as a starting point. On Tuesday afternoon we continued to work on creative tasks in relation to the choreography. Wednesday was a fun and exciting morning. The team visited the Greenwich Heritage Centre for a workshop about The Princess Alice disaster. Kayleigh Edun, from the Greenwich Heritage Centre, gave a fantastic presentation about the disaster, with interesting details and great images. We were then given the opportunity to try on some Victorian clothing which was brilliant. Finally, we visited their archives to look at some original photographs of the wreck and original newspapers from 1878. This was a really important morning as it allowed the young people to gain a deeper understanding of The Princess Alice disaster and the events surrounding it. On Wednesday afternoon we were joined in the studio by Nicola Flower. She displayed her work (which is now a rather large installation and continually growing) and the young people were invited to contribute some of their own ideas and drawings. We also spend the afternoon developing personal characters using this mornings research session as inspiration. Thursday morning, the young people went to see The Insect Circus. As part of the Arts Award they have to experience the arts in many different ways, one of them being as an audience member. They then had to review and critique the show. In the afternoon we were back in the studio and today we began piecing together the opening section using the material they had created. Friday we were back in the large studio and able to plot out the performance space. We finished the disaster section and linked it to the opening section. By the end of the day the young people had got through over half of the choreographey and were performing their version with amazing physicality and characterisation. This week, the DFDC dancers will be joining us in the studio and we can begin to put all the performers in the space! Exciting! This morning will be lead by the young people as they lead us through their mini workshops. This afternoon we will be joined by two of the dancers from DFDC as we work on the final section of the choreography! Keep your eyes on our social media for more updates and make sure you come down to one of our performances this week!